Blending art and fine writing instruments – Write with us! For the art of fine writing is the TT Patton tagline. I have always believed that fine writing is an art. I’m not a writer (I just like to journal). Nor am I an artist (I just love artistic things). But I get a little excited when the two come together. Vincent Van Gogh, Starry Night, 1889, oil on canvas. Considered his magnum opus, this work depicts his view outside his sanitarium room window of the village of Saint-Remy. So when I saw the announcement from Visconti, I had to share it with you. 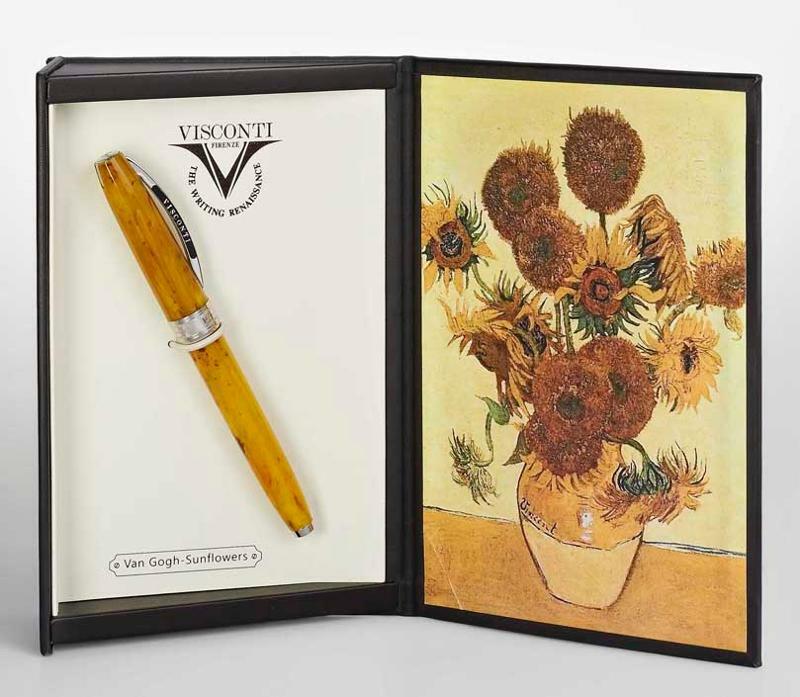 Blending art and fine writing instruments, Visconti introduces The Van Gogh Impressionist Collection, a range of pens inspired by paintings from one of the world’s most acclaimed artists. These writing instruments are not only inspired by the artist’s color and technique, but also the emotion of the individual paintings themselves. Vincent Van Gogh, Bedroom in Arles, 1888, oil on canvas. This painting depicts Van Gogh's bedroom in the Yellow House in Arles, France. 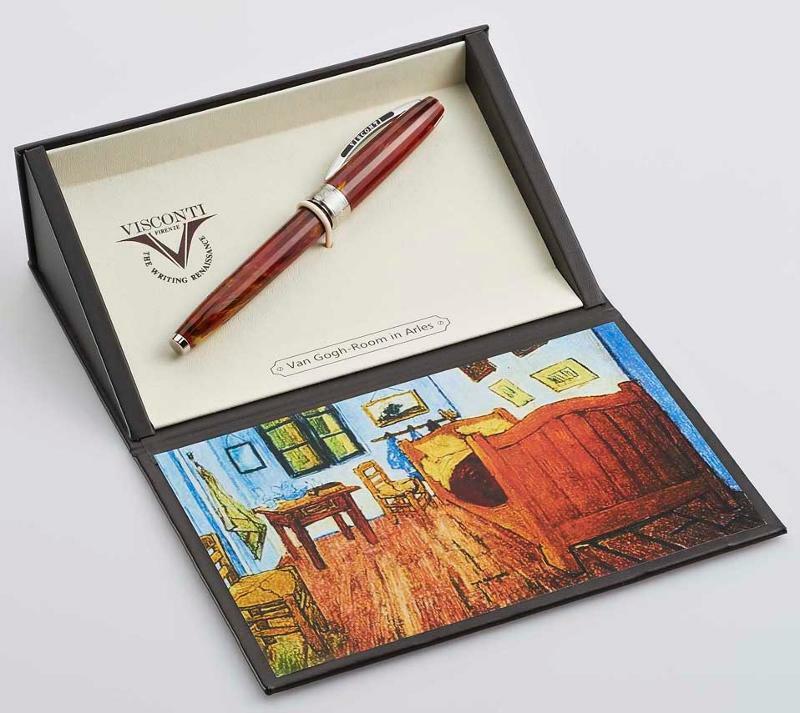 The name of the painting and artist are delicately engraved around the pen’s ring, and each pen is packed into a unique gift box that is complemented with a faithfully reproduced canvas of the painting. The pen itself utilizes Visconti’s eighteen-faceted design, the many edges enhancing the vivid colors of the pen. 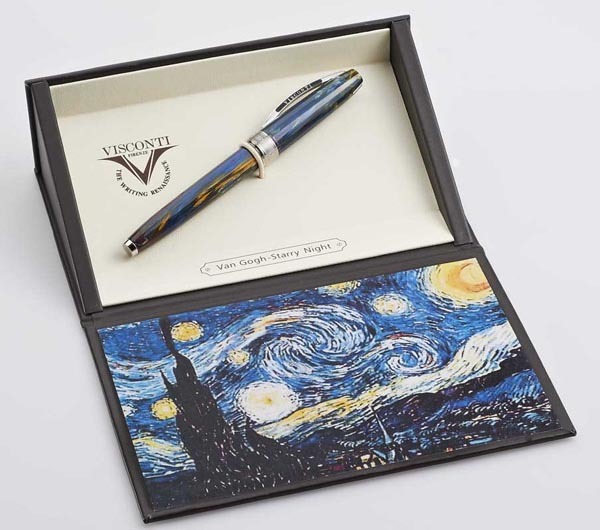 As always, each pen may be personalized using Visconti’s patented ‘My Pen System,’ and Visconti has employed their popular magnetic closure system. Each pen is available in fountain ($279), rollerball ($249), ballpen ($199) and Eco-Roller ($259). Vincent Van Gogh, Sunflowers, 1888, oil on canvas. This is the fourth version of Van Gogh's famous still life series created to decorate the Yellow House he shared with Paul Gaugin.